It is our selfish, sinful nature that leads us to demand that “we” control the shots. 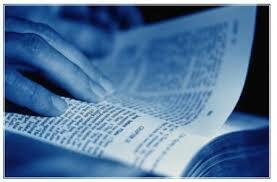 For the Christian, the Word of God tells that He is sovereign, in total, absolute control of all things. Yet, many in the church seek to deny this basic foundational truth. On this “Best Of” program, Mike shares audio clips from R.C. Sproul and from Eric Holmberg’s DVD presentation Amazing Grace, The History and Theology of Calvinism, in affirming that the Lord God is sovereign! This entry was posted in Apologetics, R.C. Sproul, Reformed Theology, Sovereignty Of God on 24 April 2010 by mcp. Mike shares a special sermon by his pastor, Scott Reiber of Westminster Presbyterian Church in Vicksburg, MS, dealing with God’s election and salvation. This entry was posted in Apologetics, Reformed Theology, Scott Reiber, Sermons, Soteriology, Sovereignty Of God, Theology on 17 April 2010 by mcp. This entry was posted in Audio, Calvinism, Jeff Noblit, Mark Keilar, Sovereignty Of God on 2 January 2010 by mcp. This entry was posted in Apologetics, Arminiamism, Calvinism, Films/Video, R.C. Sproul, Reformed Theology, Sovereignty Of God on 12 September 2009 by mcp. The Sovereignty of God-Deal with it! If God is, and is who He says He is, why do we as mortal men think we can impose upon the will and the power of the eternal Creator? 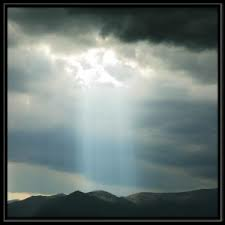 On this program, Mike examines the doctrine of the sovereignty of God and why it is that “people love the darkness more than they love the light.” Todays program also features a tremendous sermon clip by Pastor Jeff Noblit. This entry was posted in Apologetics, Jeff Noblit, Sovereignty Of God, Theology on 2 January 2009 by mcp. On todays program, Mike agrees with Ed Young Jr. on how the Bible is the best voter guide; also, a great Spurgeon quote on the sovereignty of God and the free-will of man; and listener emails on the rise of Calvinism and the Osteens. This entry was posted in Apologetics, Calvinism, Listener Emails, Sovereignty Of God on 20 October 2008 by mcp. 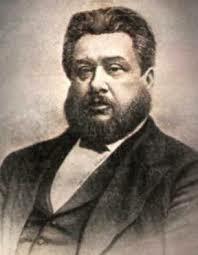 This entry was posted in Great Quotes, Sovereignty Of God, Spurgeon on 20 October 2008 by theexpositor. The Supremacy of me….or God? In the world today, it is the value of a person that seemingly takes precedence over the value of God. “Pulling myself by my own bootstraps” is the mantra of the day. Sadly, in the church, it seems this philosophy is dominant as well, relaying more on our efforts, that the will and purpose of the sovereign God. Today’s broadcast features great audio clips from Voddie Baucham, Paul Washer and John Piper. This entry was posted in Apologetics, Audio, Calvinism, Doctrines of Grace, Evangelicalism, John MacArthur, John Piper, Paul Washer, Sovereignty Of God, Voddie Baucham on 11 August 2008 by mcp.